The very first screenshots from the Mat101 VIDEO "Zilof" are here !!! 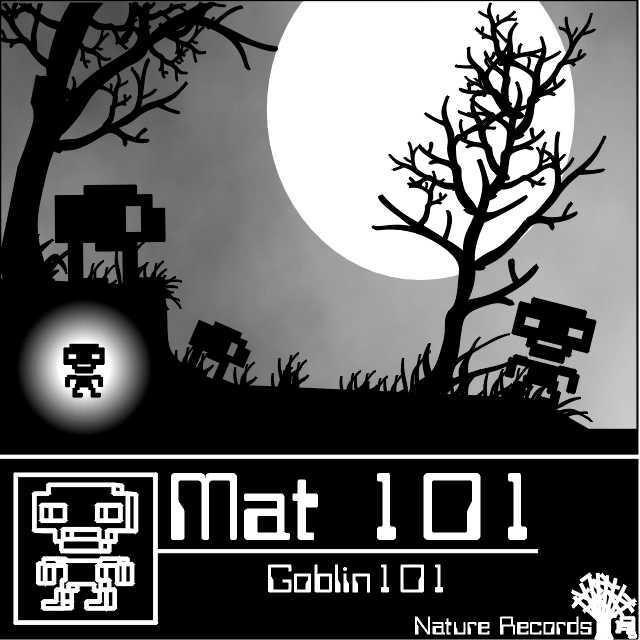 News about the first Mat101 remixes EP: it will be out very soon on Nature records and it will feature "Arcade" rebuilt by Adult, D'Arcangelo, Mat101 and DeLisio..
New Flash animation added, built upon the cover of the LP. MAT101 "GOODBYE MUM" IS OUT!! available both on double-vinyl and cd... contact Final Frontier for orders.. The first Mat101 "Goodbye Mum" LP copies just came out of the press... they will be out on 26/4/1999! 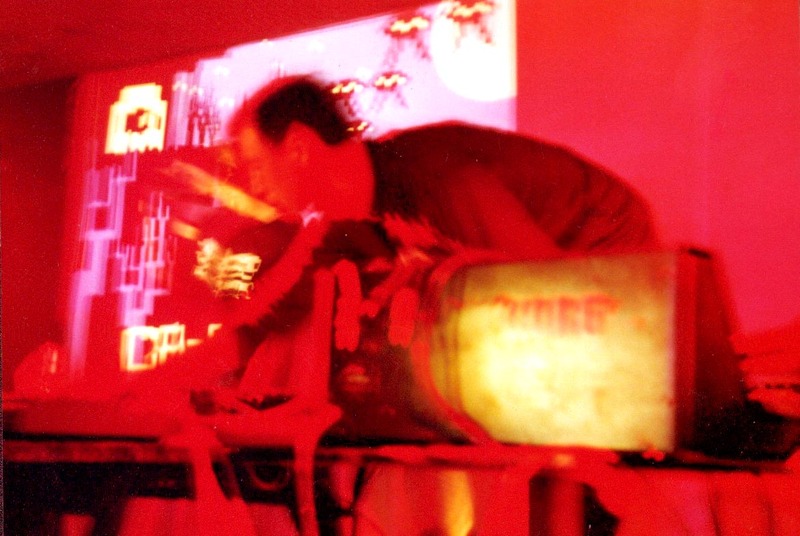 New Mat101 live at Pecci (Prato, Italy) on 17/04/1999 . A review (in Italian) has been published on The Dance Web. Read it at http://www.thedanceweb.com/cheap_beat/index.htm . A Mat101 interview has been published by the great folks at EAR . You can read it at http://www.cybercable.tm.fr/~earmag/mat101.html . Goblin101 single is finally OUT! Order it online at Final Frontier website..
Mat101 new webpage is up (the first try). 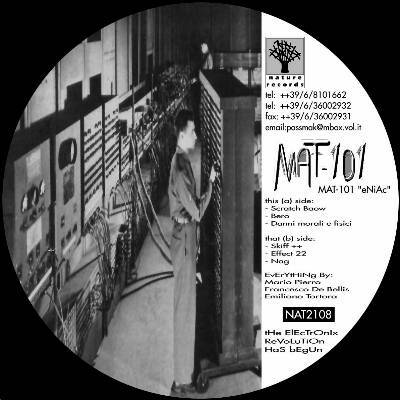 Mat101 is a Rome-based electronic group, formed by Mario Pierro, Francesco De Bellis and Emiliano Tortora. 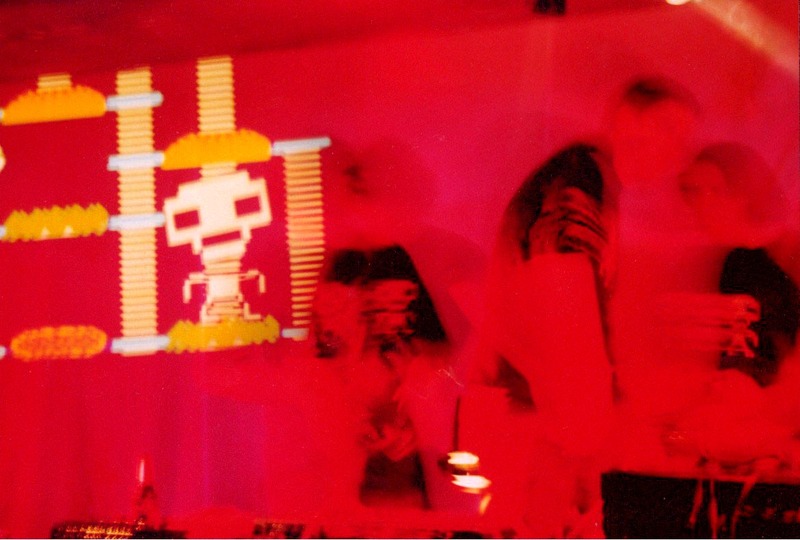 We have been releasing tracks since 1997, on both Italian & European labels (Nature records, Plasmek, Millennium). Our music style is a mixture of electro beats, old arcade videogame tracks & some 80's new wave mood (however, hear it yourself, the tracks are here =). The album will be preceded by the single "Goblin101", which features a previously unreleased track ("Sintesi"), and by two EP of remixes. All the artwork of these two works has been done by Infidel (Enrico D'Elia), who also provided the original pics used to build this site & the flash animations..